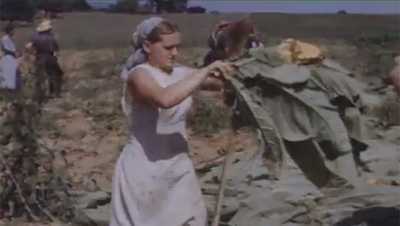 This 1940s video shows a Pennsylvania Dutch family in Lancaster County working in a field with no modern machinery. Not all Pennsylvania Dutch are Amish, and this family does not seem to be Amish due to their head coverings and clothing. 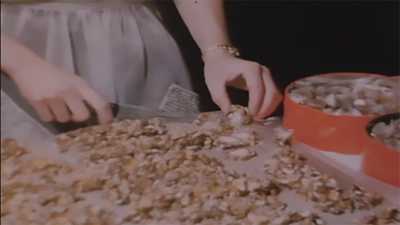 A 1940s video shows an Amish family harvesting wheat and tobacco. Shortly after this was taken, most Amish groups were forbidden from posing for videos. 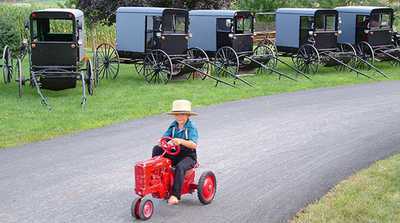 While the Amish generally do not pose for pictures, some will cooperate with photographers they know and trust.